In Index Dice, the race is to 10,000 points. Various scoring combinations are available: Sets, a Straight, Ones and Fives all score. Keep rolling to better your score, but take a chance on losing your points. Use all the dice and start over with 6 more! - Five default game styles. 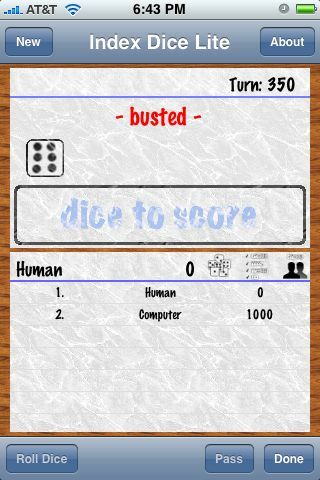 - User defined rules and point values so you can set up your own version of the game. 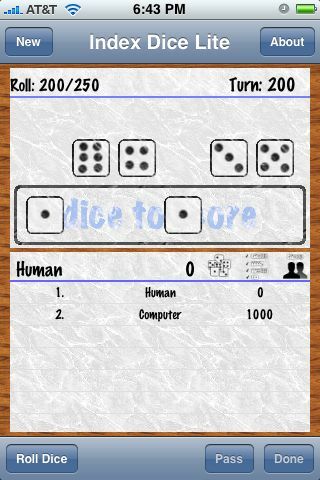 - The ability to take dice (and points) from the previous player. - More scoring options including Full House, Small Straight and Two Triples. - Multiple player support and different card colors. 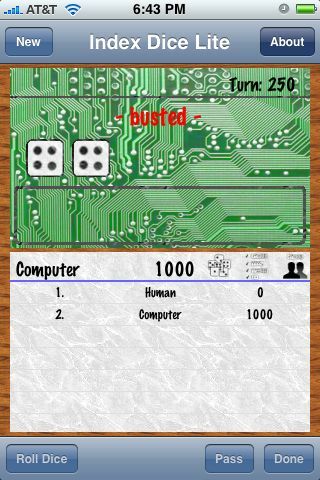 - Four computer AIs with different play styles.